Prices start at $749 for surprisingly well-equipped models. 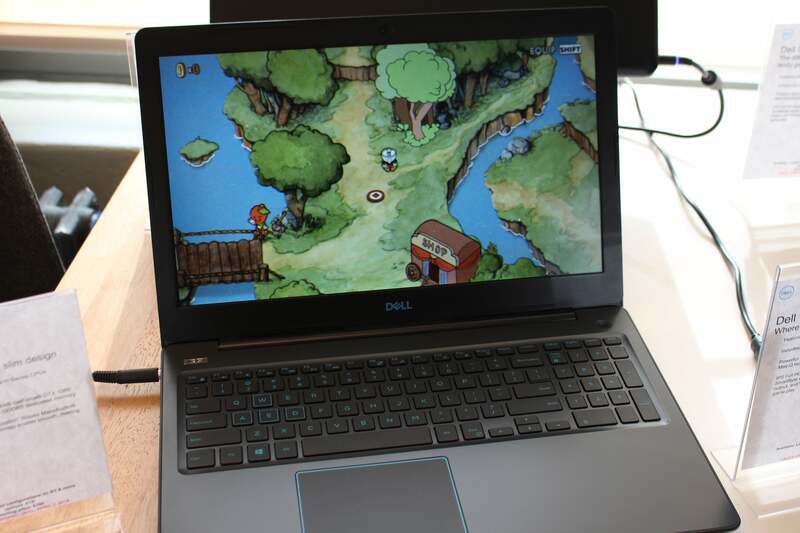 Dell launched its G Series of gaming laptops April 3 with every gamer in mind, from entry-level to more advanced users. 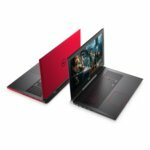 Dell knows that not everyone can afford high-end models like, say, the Alienware 15 and Alienware 17 (sold by Dell’s Alienware division), also announced April 3, which start around $1,500. 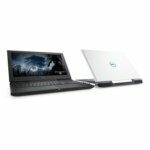 With prices starting at $749, Dell’s G3, G5, and G7 product lines are far more affordable, yet they still carve out room for features including some of Intel’s latest quad-core and hex-core mobile CPUs. All of the G series laptops started shipping April 3 in limited quantities. Update, May 16, 2018: We added buying information to this story now that more configurations are available. 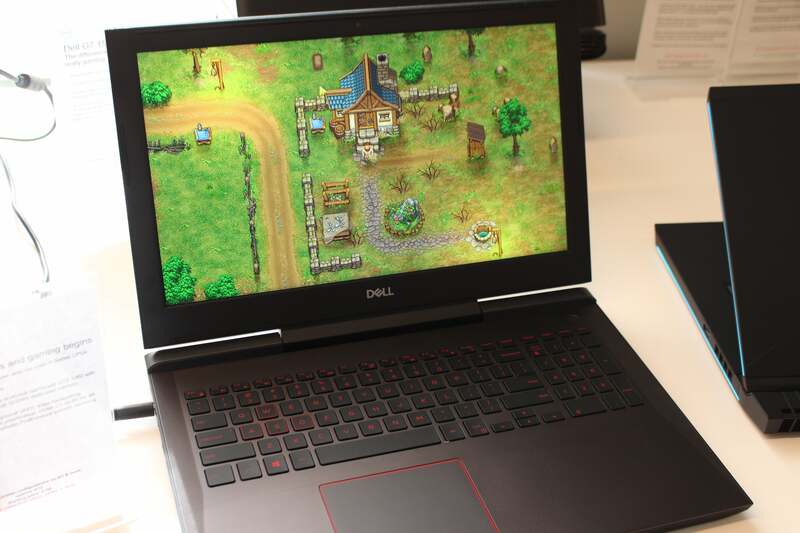 Why this matters: By launching the G series (and retiring its Inspiron gaming product line), Dell’s signalling its intent to pay more attention to gaming. Sure, it’s a growth area, and it’s also one where users tend to pay more for their next PC. It’s simply good business to have appealing products at the entry level to build customer loyalty. As you’ll see when we go through the specs, the G series laptops have a lot of components in common. But don’t think they’re cookie-cutter: Dell made them very different in design and price. You’ll probably also be able to hear differences in the laptops because of their cooling systems, which get a little more elaborate in the higher-end models. Those thermal decisions may also affect performance, though we won’t know for sure unless we test them. Dell’s G3 15 laptop is the slimmest of the bunch, at just 22.7mm. G3 is Dell’s lowest-cost line, with 15-inch and 17-inch laptops. The G3 15 (starting at $749 via Dell) will come in Licorice Black, Recon Blue, and Alpine White. Notably it will also be the thinnest of the G series laptops, at just 0.9 inch. The G3 17 (starting at $799 via Dell) will come in Licorice Black and Recon Blue. 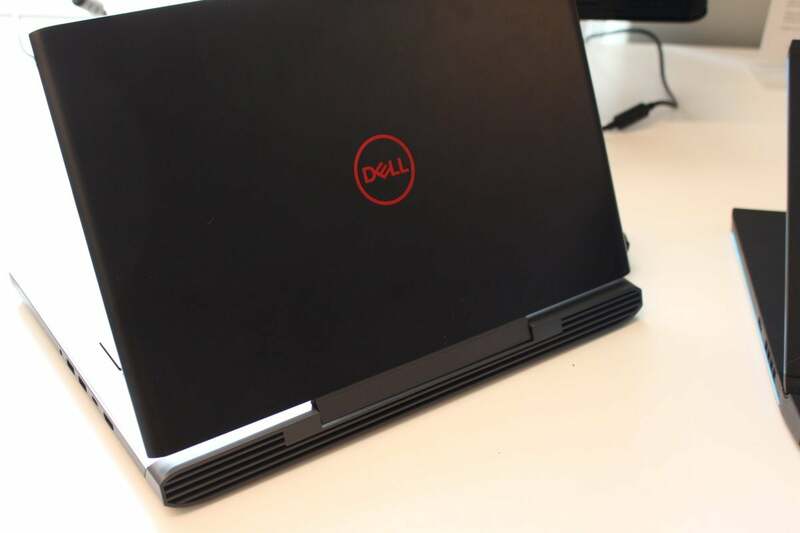 The G5 15 laptop will come in Matte Black or what Dell calls Beijing Red, with large exhaust vents at the back. It’s a little thicker than the G3 at about 0.98 inch. Prices will start at $799 via Dell. 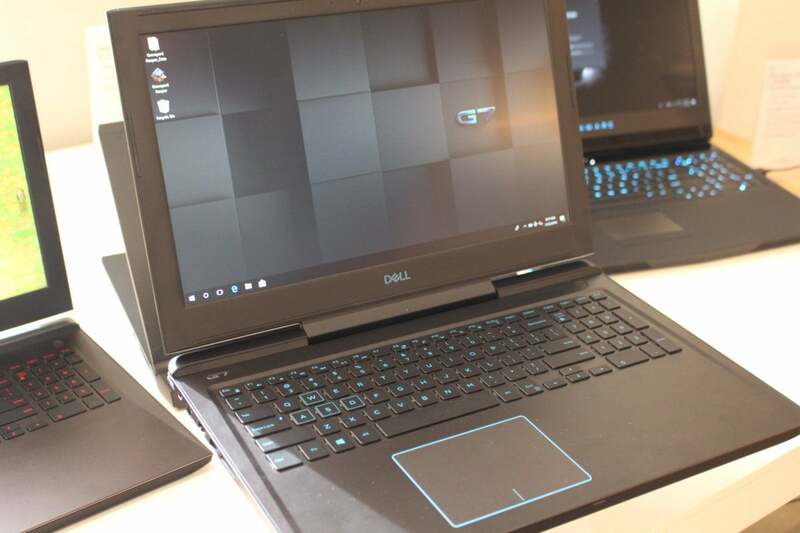 Dell’s G5 15 laptop comes in Matte Black (shown) or Beijing Red. The G7 15 laptop will come in Licorice Black or Alpine White. Its exhaust ports will be the most elaborate, with chrome crossbars and internal grillework that echoes the accent color of each laptop. It's snazzy, like having painted brake calipers on a high-performance car. 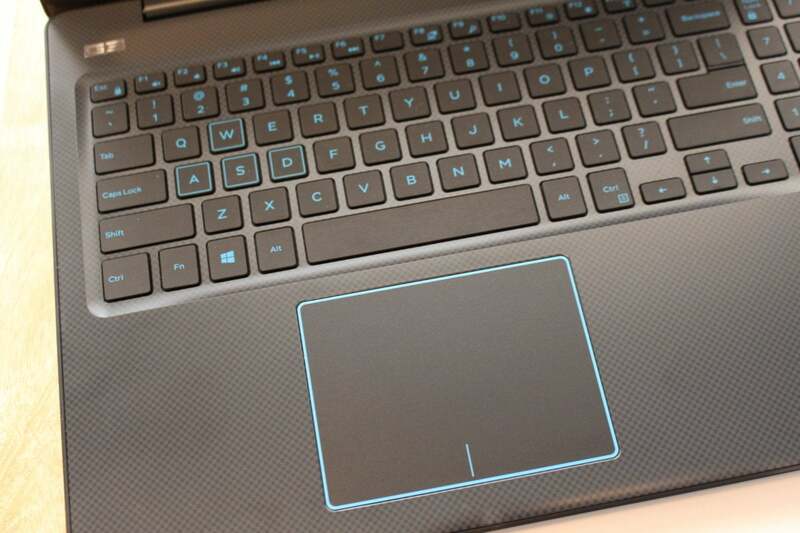 In the case of the black laptop, for instance, its blue accents are echoed in the grillework. Like the G5 15, the G7 15 is 0.98 inch thick. Its starting price will be $849 via Dell. The Dell G7 15 laptop has large rear exhaust ports, accented with chrome and color-matched interior grillework. All G series laptops will offer CPUs from Intel’s latest batch of 8th-generation chips, including the quad-core Core i5-8300HQ and six-core Core i7-8750H. The highest-end G7 17 laptop (starting at $899 via Dell) will also offer the more exotic six-core Core i9-8950HK part, an overclockable chip with very fast speeds. The Dell G3 15 laptop’s keyboard is full-sized with a numeric keypad and a light textural interest. Backlighting is optional. Memory and storage will follow the same lines. All the G3 laptops will offer 8GB and 16GB of memory, with a maximum of 32GB. Storage will range from a 1TB, 5,400rpm hybrid to dual drive and SSD options (256GB and 512GB). The G series laptops will also carry the same Nvidia mobile graphics options. The base option will be the GeForce GTX 1050, with a step up to the GTX 1050 Ti, both with 4GB of GDDR5 RAM. The highest-end option will be the GTX 1060 with Max-Q. Nvidia’s Max-Q technology has shown up on many laptops in the past year, enabling solid performance in slimmer laptops with less of a hit on battery life. 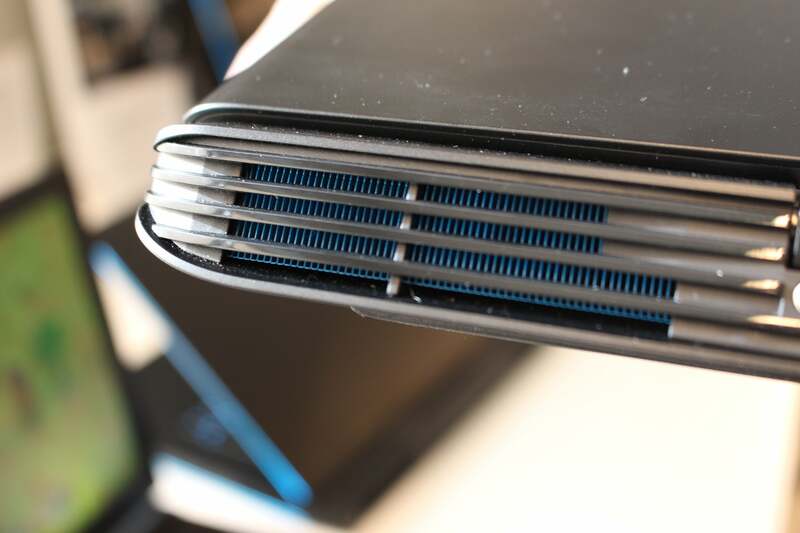 The graphics system will also dictate the AC adapter: 130-watt for laptops with the GTX 1050 parts, and 180-watt for those with the GTX 1060 with Max-Q. All will offer the same 56Wh battery, non-replaceable. Dell’s G5 15 laptops will come standard with a 1920x1080 display, with a 3840x2160 display optional. All the G series laptops will offer non-touch displays, starting with a base IPS panel with 1920x1080 (Full HD) resolution. That’s the only display for the G3 15 and G3 17, but the G5 15 and G7 15 will also offer a 3840x2160 (Ultra HD) IPS option. The standard keyboards will be full-size including a numeric keypad. Backlit keyboards will be optional. Connectivity will be about the same, including HDMI 2.0, and SD, and two or three USB 3.1 Type A ports including one with PowerShare. Thunderbolt 3 and USB-C will be standard on all but the G3 series. 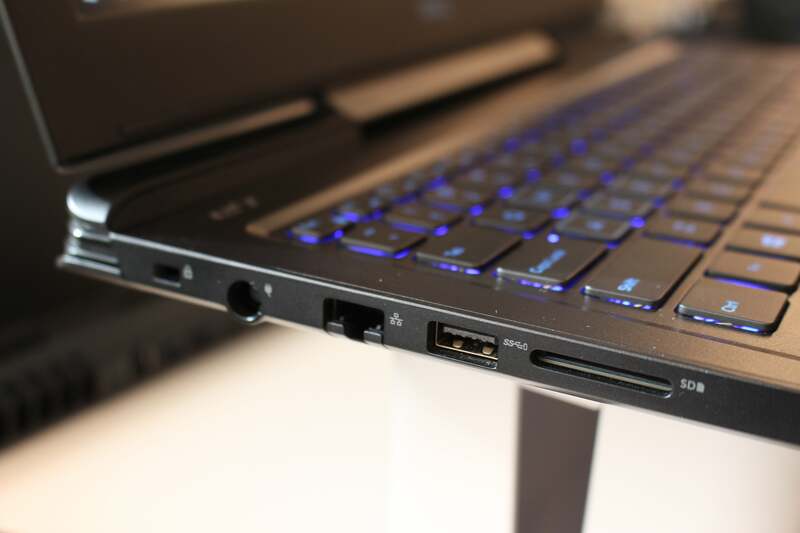 The Dell G7 15’s ports include these on the left: Noble lock, power, RJ-45, USB 3.1 Type A, and SD. Dell’s G series laptops help fill out its consumer-level gaming lineup with a good selection of models at reasonable starting prices. The naming is also less confusing and clunky, now that the company’s longstanding Inspiron brand has been disentangled (just try saying “Dell Inspiron 15 7000 Gaming Laptop” three times fast). You’ll notice there’s just one 17-inch laptop. Dell didn’t rule out adding other 17-inch models later. Granted, 17-inch laptops aren’t as portable as they look, often weighing 9-10 pounds without their bulky AC adapters. But they’re still easier to carry around than a full desktop, which may tip the scales (literally) in their favor for some mainstream gamers. We hope to tell you more if we get any of the models in for review.